Addon for WPeMatico. 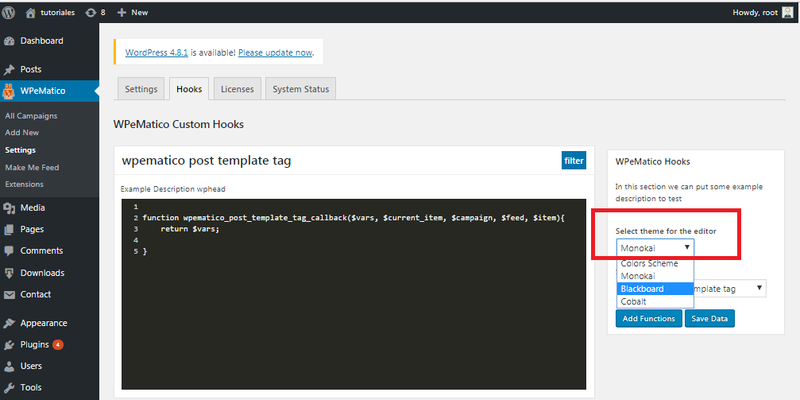 Allows you to execute PHP actions and filters right from your WordPress admin panel in order to create custom behaviors in your campaigns. 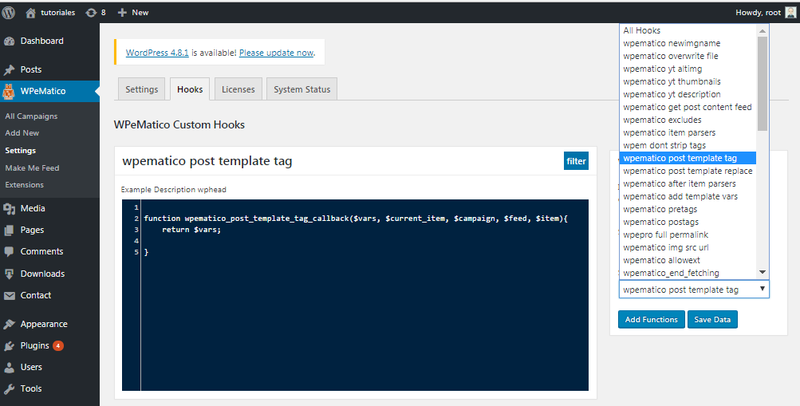 WPeMatico Custom Hooks is an addon of the main WPeMatico plugin that allows you to execute actions and filters provided by WPeMatico in order to create custom behavior in the execution of your campaigns, right from your WordPress admin panel. 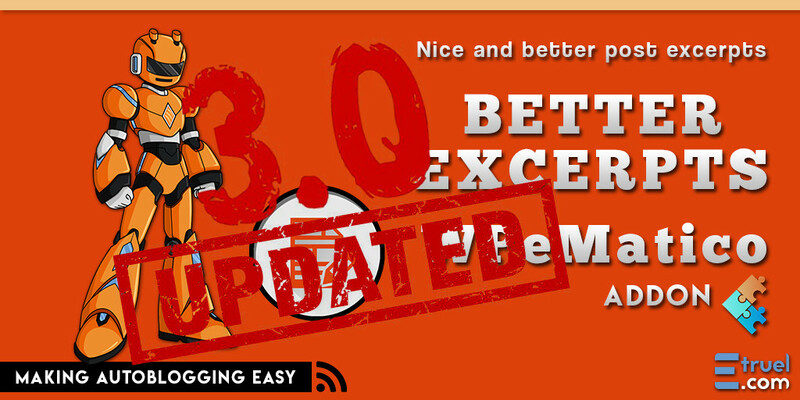 It’s very interesting because it will let you see the functionalities of this powerful autoblogging plugin in greater depth, as well as its extensions on the development level. This addon allows you to add the actions and filters that WPeMatico possesses in order to make personalized changes in the campaigns you execute or actions that require a specific change in behavior. * Hooks updates from WPeMatico Core. * Integration of Hooks through the installed WPeMatico extension. * Help templates with the function for each filter or action. * Elegant code editor with code highlighter for programmers. * Syntax error check before saving the code for the functions. 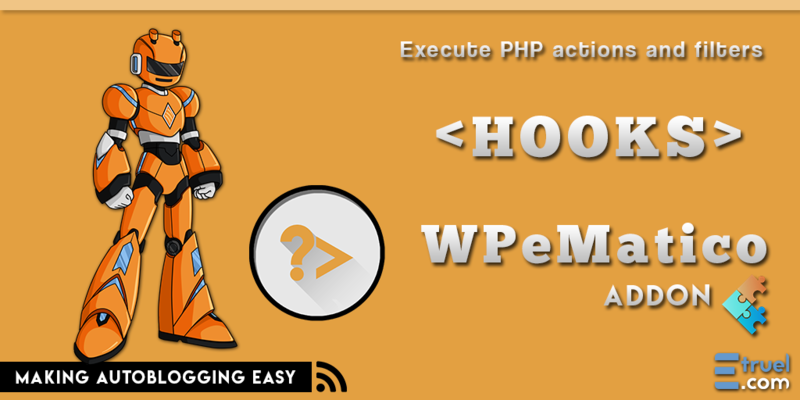 This WPeMatico addon requires the WPeMatico base plugin to be installed and activated. 1. Unzip plugin file and put the folder into your plugins folder (/wp-content/plugins/). 2. 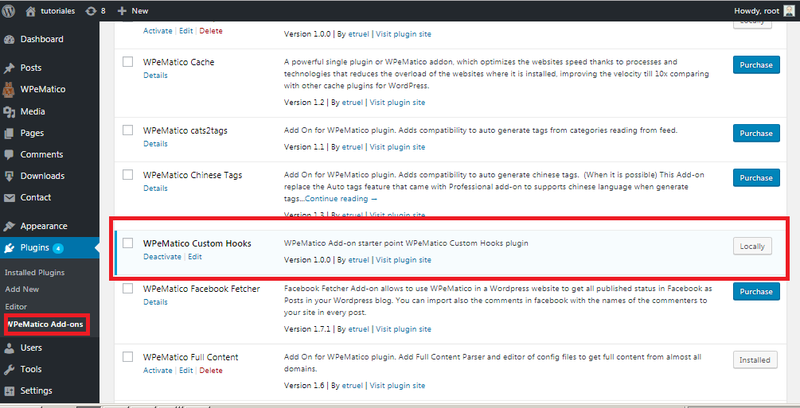 Activate the plugin from the WPeMatico Extensions menu. 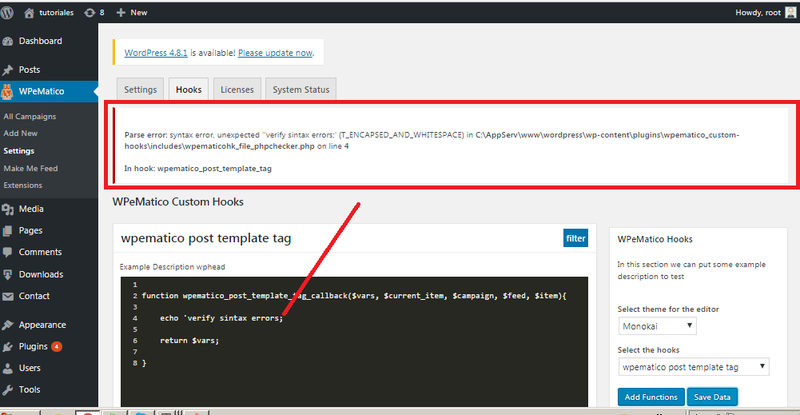 1) Decompress it in the WordPress plugins folder to continue with activation. You must first have WPeMatico installed.